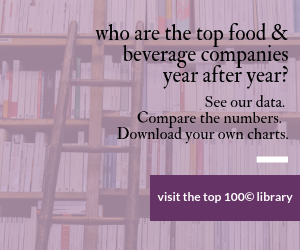 Ireland-based market research firm Research and Markets Ltd. has a new trend analysis report naming the top 10 global trends in the global food & beverage business. 4. Protein - powered by "naturally functional"
8. Sugar - the new dietary demon? 9. A long, slow death for low fat? 10. Digestive wellness - the secret driver of other trends? Titled "10 Key Trends in Food, Health and Nutrition 2015," this report "is the only one that will help you spot the difference between an enduring trend and a fad," the company says in promotional materials. "The 10 Key Trends present a mass of innovation and renovation opportunities for both big brands and entrepreneurial brands. For ingredient companies, they help to make you as knowledgeable as your customers are. "In 2015, ingredients and brands that are 'naturally functional' are surging, along with 'good grains' and protein, while dairy is able to take advantage of its naturally health advantages as never before. Old weight management business models are failing, start-ups are carving new niches, low-fat eating is facing a long, slow death and every company that can is fighting for a piece of the snacking market." The report has a number of charts and covers these world regions: North America, South America, Asia, Europe,Australia & New Zealand. Electronic copies for a single user start at 400 euros.